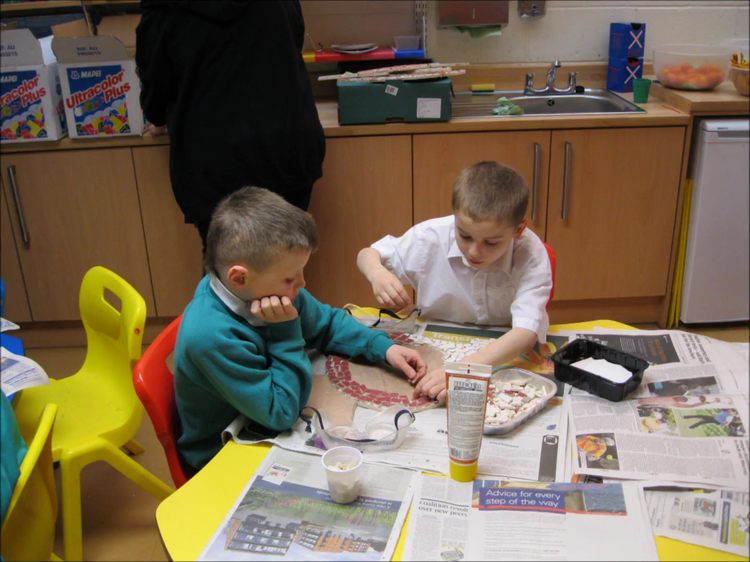 Take a look at what we have been up to in Year 4! The links below will take you to photos of our work in progress. No excuses for losing, or the dog eating your homework ... it's all here!! Year 4 shocked at discovery of ransom note! Relief in year 4 as M&Ms are found!! After finding our stash of M&Ms, we used them for some work on fractions. The best part was eating them at the end! 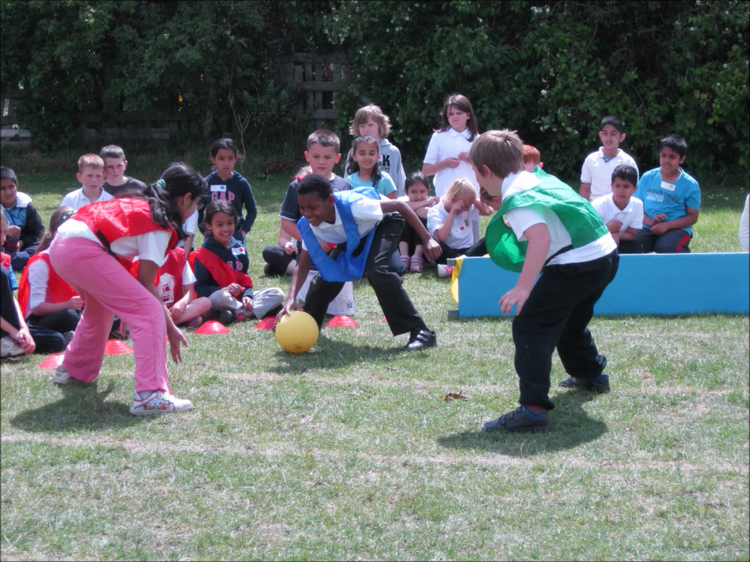 On Friday 24th June, Year 3 and 4 competed in a Squareball competition, lead by Mr Biltcliffe and Mrs Ward. We had great fun! CSI: Y4- Who was the Chocolate HobNob Thief?? Someone stole Mrs Holmes' delicious choccy biscuits!! Who could it be? The evidence: A threatening note left by the thief; biscuit crumbs and lots of chocolately finger prints. 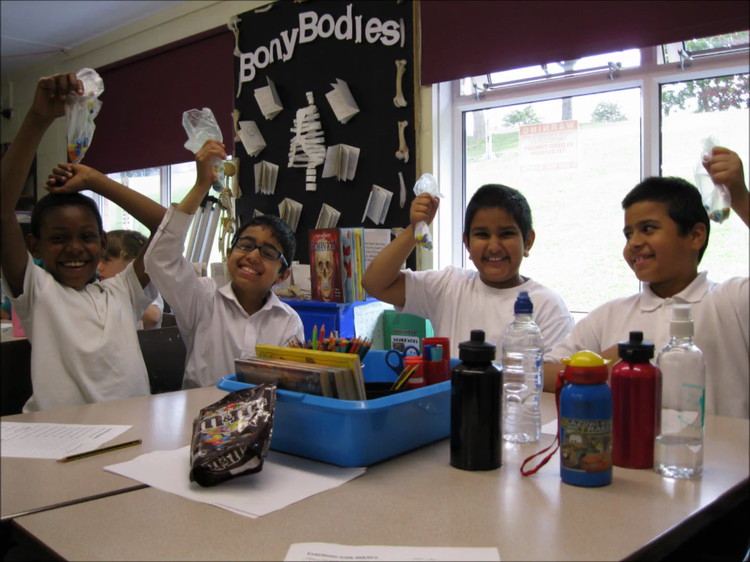 We had a fantastic day acting as forensic Scientists to solve the crime. We tested the ink used by the thief with chromatography experiments and took fingerprints. Everyone was a suspect ... even Mrs Holmes!! 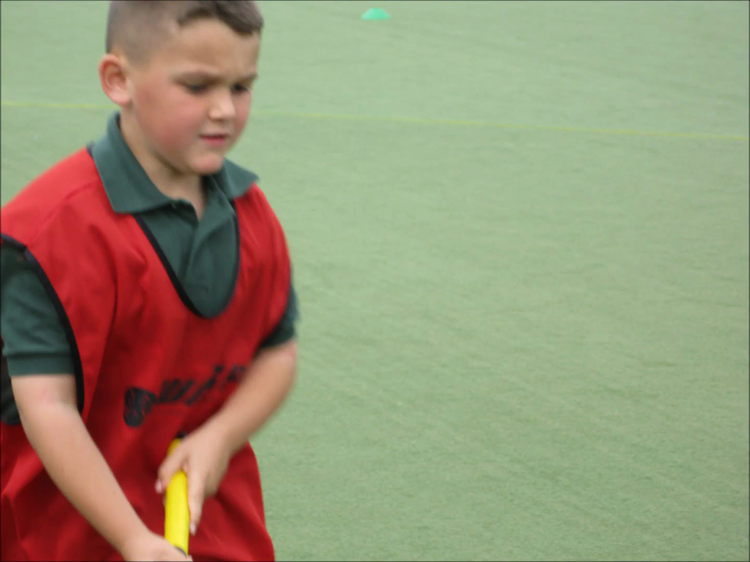 On Monday 13th June, 14 Year 4 pupils played at the Hockey Festival, held at Wakefield Hockey Club. The players received tips from coaches and really got involved in the 'Pre- Olympics'. Well done everyone! Both Year 4 teams won their pitches at the cluster competition held at Greenhill. The overall winners on Pitch 1 went on to play at (and win!!) the final. Look out for Miss Gates and Daddy Cool! 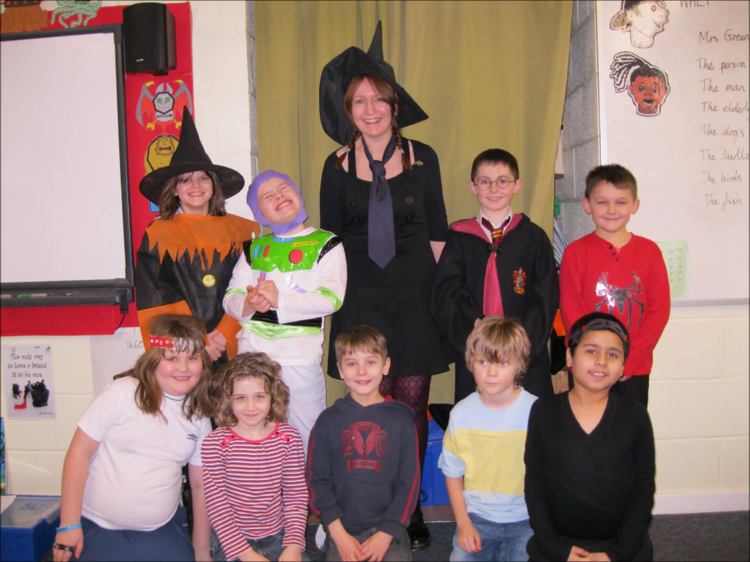 We came to school dressed as book characters, and spent the day acting as detectives and news reporters, to investigate the mysterious events in the book 'Tuesday' by David Weisner. We wrote our own newspaper reports based on our research. 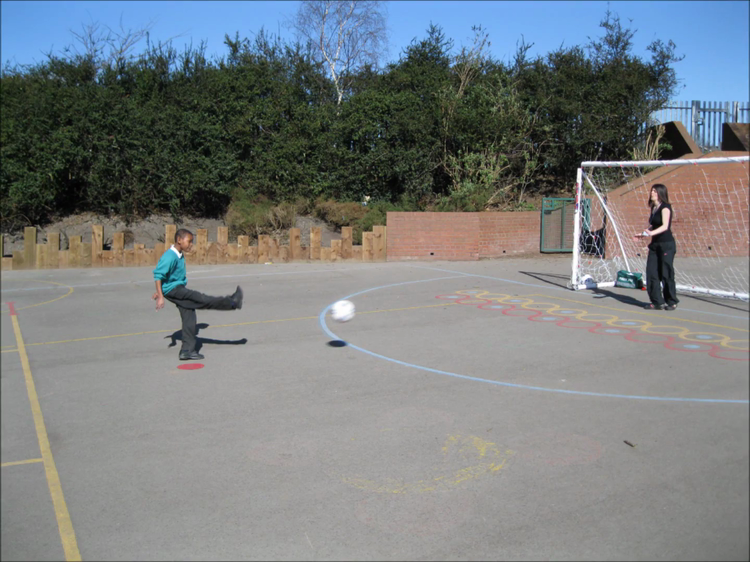 We raised money for Comic Relief on Red Nose day with a penalty shoot out against our Sports Coach, Miss Gates. Did you score a goal? Year 4 Inspire Morning - An Ugly Bug Ball! 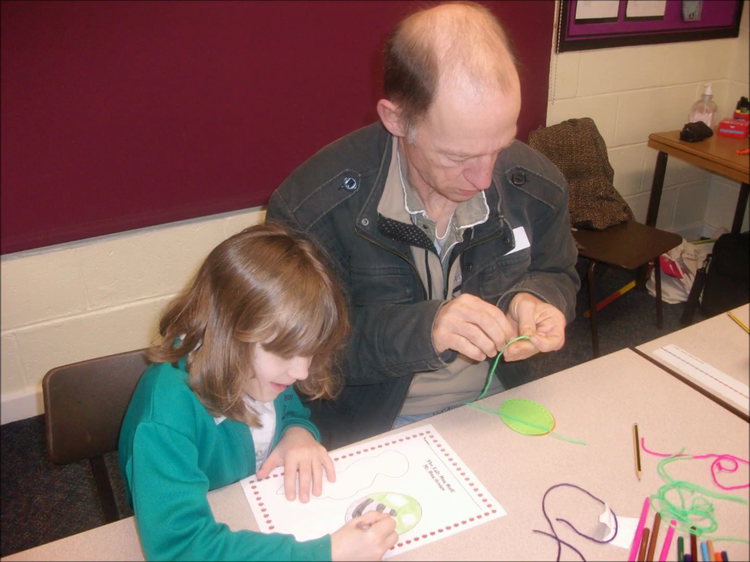 We had a fantastic time working alongside our family members to create our ugly ... or not so ugly bugs! 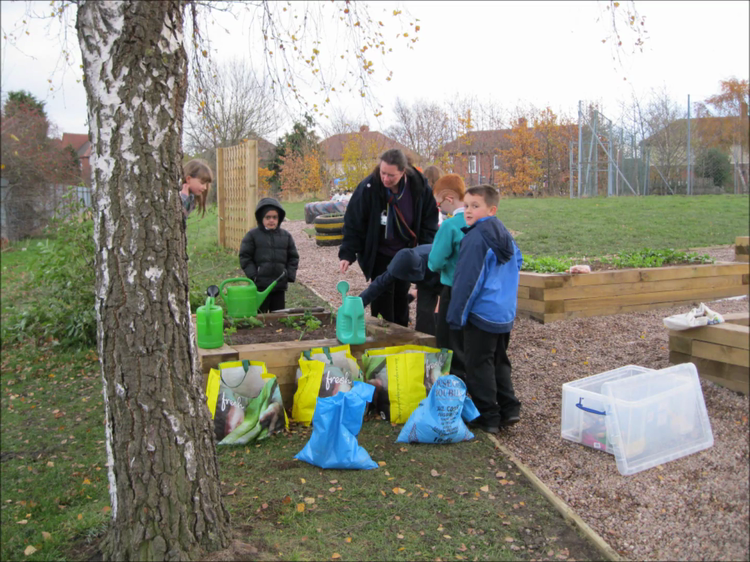 We have been really busy developing our raised bed and trellis areas outside. Take a look at us in action! Water, water everywhere! Getting wet at Magna! We managed to get fairly wet inside the water pavillion at Magna. Megan looked like she had just had a shower! Watch this short film to remind you of your experience. The Earth Pavillion at Magna Were you able to operate the JCBs better than Mrs Holmes? Liam was great at it! Re-explore the earth pavillion in this short film. Year 4 win the Tag Rugby final! 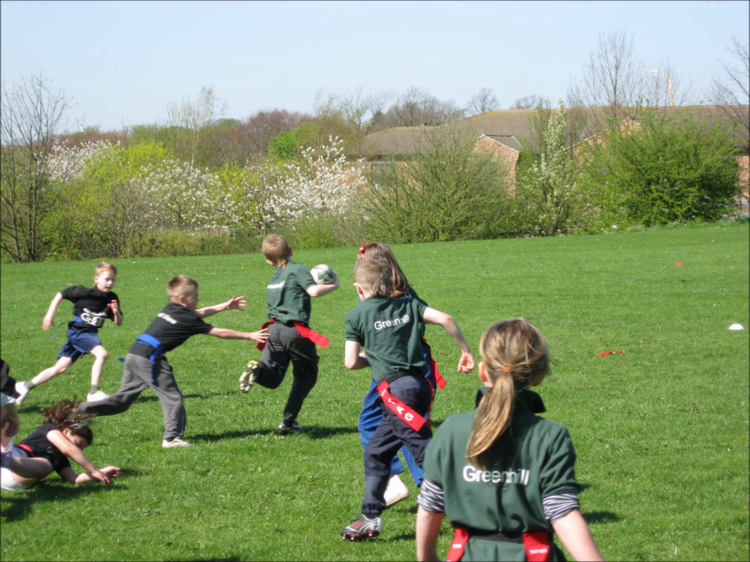 Have a look at some photos and read about Year 4 winning the Tag rugby final on this weblink. The Lost Thing website Website based on Shaun Tan's Oscar winning animation.